Derailment of three coaches of 12312 Kalka-Howrah Mail near the Narela railway station in Delhi division of Northern Railway early this morning threw the rail traffic on the Amritsar-New Delhi trunk route out of gear with most of the up-trains running late by four to six hours. 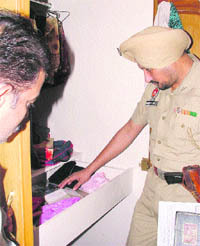 Trusting a servant proved costly for a road contractor’s family as the former decamped with cash and jewellery worth over Rs 50 lakh from his (contractor’s) house located in Model Town. The servant, who was recruited recently, also took away a licensed revolver with him. A bank employee was stabbed by a groups of snatchers in the Rose Garden area here last evening. The incident came to light today after the police registered a case against three unidentified snatchers and started investigation. Much to the relief of subscribers, BSNL has resumed connectivity of services to private telecom service providers. Due to the snapping of interconnectivity services, both landline and cellular subscribers of BSNL and private telecom service providers had to face a lot of inconvenience as people were literally cut off from one another over a long period of time. Even as the city has earned itself the title of being the most polluted city in the country, the findings of the Punjab Pollution Control Board (PPCB) indicate a silver lining. The data collected by the PPCB reveals that during peak hours of Diwali celebrations, pollution levels were comparatively less than last year. Also, fewer crackers were burst in the residential zone compared to previous years. The health department has finally destroyed the 225 quintal fungus-infested pickle seized from two godowns on October 19. Three Assistant Commissioner of Police (ACPs) have been transferred in the wake of the ensuing Assembly elections. To beat stress, city youngsters like to visit chiropractors for getting their neck and back massaged. The sole purpose of their visit is to relax their nerves. But little do they know that a wrong massage can cause stroke. Raghav, a class IV student, can do simple calculations fast and easy by imagining beads of an abacus. Centuries-old techniques of calculating with abacus and vedic mathematics are seeing a revival with many institutes springing up in the city promoting the use of these techniques. The Ludhiana Municipal Corporation seems least bothered when it comes to recovering of outstanding dues from city residents. An information procured under the Right to Information (RTI) Act has revealed that the civic body is yet to recover a whopping Rs 154.91 crore as pending water and sewerage bills from 86,899 residents. At a time when a large number of traders were busy pocketing hefty profits by selling crackers wrth several crores in Jagraon, there were others who suffered huge financial loses due to strict guidelines issued by the local administration before Diwali. Pema Charba, a Tibetan refugee, who suffered from urinary incontinence and weakness of all limbs, has returned home after being treated at the CMCH here. With food inflation hitting a six-month high of 11.43 per cent, the arrival of seasonal winter vegetable stocks is awaited to ease inflation. Prolonged shelf-life of fruits and vegetables and arrival of fresh vegetables in the market are being seen as the primary reasons for the expected decline in inflation. In the face of economic slowdown, steel makers are increasing the prices of steel. The primary producers have increased prices to the tune of around Rs 1,000 a tonne. This, even as the demand for steel is not growing. The Mata Sahib Kaur Stadium at Jarkhar village, near here, on the Ludhiana-Malerkotla road has set an example for the promotion and conduct of rural sports in this part of the country. Even as the city dazzled on Diwali night, the deafening sound of firecrackers made several sick. Dr Munish Munjal, Professor in the ENT department, Dayanand Medical College and Hospital, received several patients who complained of hissing, buzzing and ringing sensation in ears. 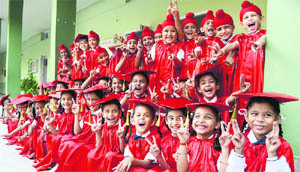 A graduation ceremony was organised at GN International Public School, Model Town, here today for UKG class in which the little children “graduated to formal school” from kindergarten. The students of the primary section performed Ganesh Vandana and Kalbelia Dance and presented a solo song. Manmeet Singh of UKG performed “gatka”. Principal GK Gill congratulated the young students. An advanced training course on “Bee breeding and mass queen bee rearing techniques” will be organised by the department of entomology, PAU, from November 2 to 4. The course will see the participation of progressive beekeepers, having large apiary units and practising innovative and scientific beekeeping. 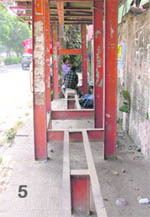 (1) A bus shelter near the Nehru Siddhant Kendra on Pakhowal road. (2) An ‘uprooted’ shelter on the Dugri road. 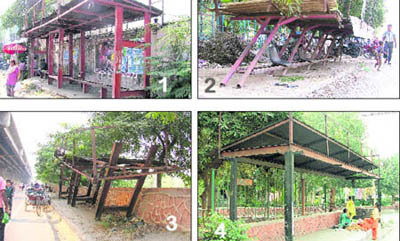 (3) A broken bus shelter near the Chand Cinema. (4) A bus shelter that has been turned into a makeshift shop by a vendor near the Jalandhar bypass. (5) Another shelter on the Phakhowal road. The city seems to be in the grip of Formula 1 fever as a large number of local residents plan to visit the Buddh International Circuit in Gautam Buddh Nagar, near Delhi, to witness country’s first ever Formula 1 event. Most fans who plan to witness the event or have already left for the venue say they want to be a part of the history by attending this racing event. 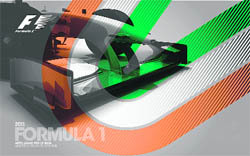 “I have been a huge fan of Formula 1 racing for many years and have been following it over the television for years. Ever since I came to know that these races will be held in India, I decided to attend the opening race at any cost.